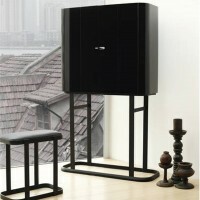 In every detail, the design of the float bedside cabinet is perfectly coordinated with the float bed. The front height of the bedside cabinet corresponds precisely either to half, or the entire height of the bedsides – depending on the choice of the shelf height. 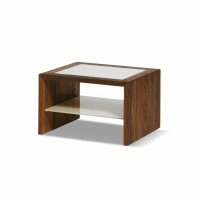 Strong solid wood forms the top board of the float bedside cabinet. 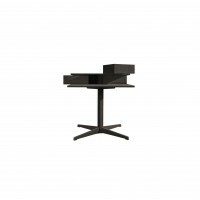 A glass table top can also be selected if desired. Two solid wood slides form a stable base. A solid wood panel connects the slides, also offering a convenient additional storage surface in the lower area. float is also available freely suspended or with an elegant solid wood slide, attached to the wall at three different heights. Both versions can be coordinated with the height of the bed, which means they are also perfect in combination with box spring beds. The front of the float bedside cabinet reflects the harmoniously rounded corner detail of the bed. This look is amplified by a fine groove that is milled vertically into the solid wood. The convenient drawer can be opened with a handle groove, which is liekwise carved into the solid wood at the lower edge of the front. 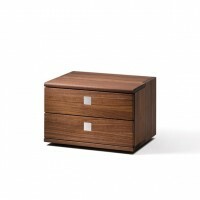 It offers comfortable handling and makes it a pleasure to feel the wood texture every time you open the drawer.